Value is an interesting word. It's a word everyone knows yet uses differently, like the words irony or fairness. Or intelligence. "Value" has moral connotations, economic implications and highly subjective personal meaning. When speaking of "value" as it pertains to cars, clothes or even whisky, most tend to interpret "good value" to mean "good quality....for something very cheap". As in "the Honda Fit offers really great value". Others hear "good value" and interpret it as "low quality, but not expensive". Like the nameless hard candy your grandmother kept in a crystal dish in her living room. You know, the candies that stuck together and cut the roof of your mouth if you successfully pried one out and dared to eat it. 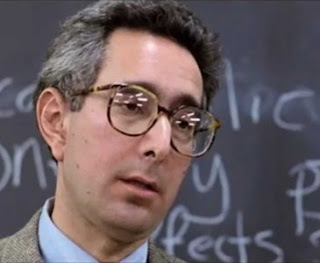 It's unfortunate that we sometimes equate "value" with "cheap" because Teacher's Highland Cream is a very interesting "value-priced" blended whisky, unlike that teacher from "Ferris Bueller's Day Off" who was NOT very interesting. Come to think of it, I think that guy was my Grade 11 Biology teacher. What's in Teacher's? Anyone? Anyone? Bueller? Bueller? It is said that William Teacher would not give his name to his blend until he had found perfection. Highland Cream is that whisky. It uses fully smoked peat single malt whisky from The Ardmore distillery as its fingerprint whisky. This gives it incredible depth and smoothness combined with a rich smokey undertone. Truly a masterpiece. The above is taken directly from the Teacher's website. Masterpiece? That must be a bit of an exaggeration, right? 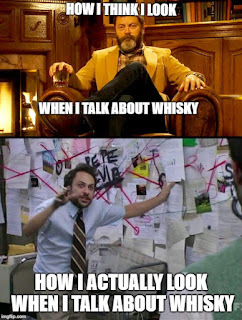 I mean, we're talking about a blended whisky that sells for $26 CAD in Ontario. How good could it REALLY be? You might be surprised. Back in 2000, Whisky Magazine's Michael Jackson (not "Thriller" Michael Jackson) rated Teacher's 8.5 out of 10. Jim Murray gave it a 90 out of 100 in his Whisky Bible. Even the notoriously tough Ralfy Mitchell gave Teacher's a very respectable 84 out of 100 (Blend mark). That's the same 84 (blend mark) that Ralfy gave to Johnnie Walker Platinum 18 Year Old. And the Johnnie Walker Platinum sells for $150. Is Teacher's that good? 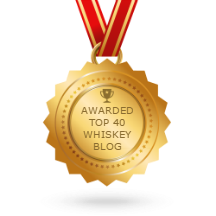 Is Johnnie Walker platinum that ordinary? Are these guys just chasing controversy? Speaking of controversy, there was apparently some controversy when Teacher's changed their blend formulation a few years back. Some swear that the new expression is terrible, evil, and proof that end times are nigh. A little dramatic perhaps. I've had quite a few bottles of Teacher's and I have liked them all. However, I haven't had it often enough to confirm or deny the Grampa Simpson-like fist shaking and shouting "the old one was better because it's old and so am I !!!" Finish: medium finish, the peat and smoke come to the forefront, with a hint of black pepper and finally giving way to malt sweetness (oatmeal?) with some oak lingering. Adding water toned down the smoke a bit and allowed more fruitiness to come through, specifically peach notes along with a little nuttiness. I didn't like adding water to it at first, but the practice has grown on me. For an inexpensive (not "cheap", there is a difference) blend, the flavour develops very nicely after the bottle has been opened for a few weeks. Adding ice just killed all the flavour, so I don't recommend doing that. Depending on your preferences, this may be the best "value-priced" whisky around. It's got a nice balance of peat, sweet and even a little heat on the finish. If you don't like peat or smoke, I'd recommend Whyte & Mackay Special Blend as a value-priced blended whisky as it's far more sherry-like and fruity. I can't rate Teacher's as highly as Jim Murray or Michael Jackson, so maybe there really is some validity to the "it used to be better" argument. 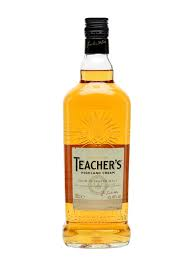 Nevertheless, at $26 CAD, I highly recommend you get a bottle of Teacher's and learn a thing or two about value.